The largest typhoon ever to reach land struck the Philippines on the 7th of November last year. Thousands of people died and tens of thousands lost their homes and livelihoods. The true cost of this mega-disaster will never be known because it was too big for the authorities to handle. Steve Cran is a sustainable community development specialist or “Permaculture aid worker” who has been involved in various field projects for more than two decades. Some of his projects took him to war zones, post disaster zones, poverty stricken areas, and in many places on this troubled planet most of us would shy away from. He has worked with Aborigines in the remote outback Australia, trained East Timorees, helped the disaster recovery and set up the Greenhand Field School in the earthquake and tsunami ravaged (and poverty stricken) Ache. Before he moved in to the Philippines post typhoon Yoland, he was working in East Africa, as well as in Southeast Asia. When the world heard about the devastation caused by Yolanda, Steve was one of the first to mount a concerted aid effort applying permaculture principles. Here, with a kind permission from Steve, we would like to reprint his report. He is now conducting training throughout Southeast Asia on Permaculture Aid Field Skills, as well as developing a Green Warrior Field School in the Philippines where he hopes to train people in permaculture aid. Getting your hands in the soil and working in real live situations drives home the training to create the kind of people that can make a real impact in the field of aid”. He adds, “The aid industry is starving for good field technicians and we aim to fill that void. We reported late last year on permaculture activists in Asia and Australia aiding community recovery and rebuilding after the super typhoon Yoland devastated the Philippines(here and here). 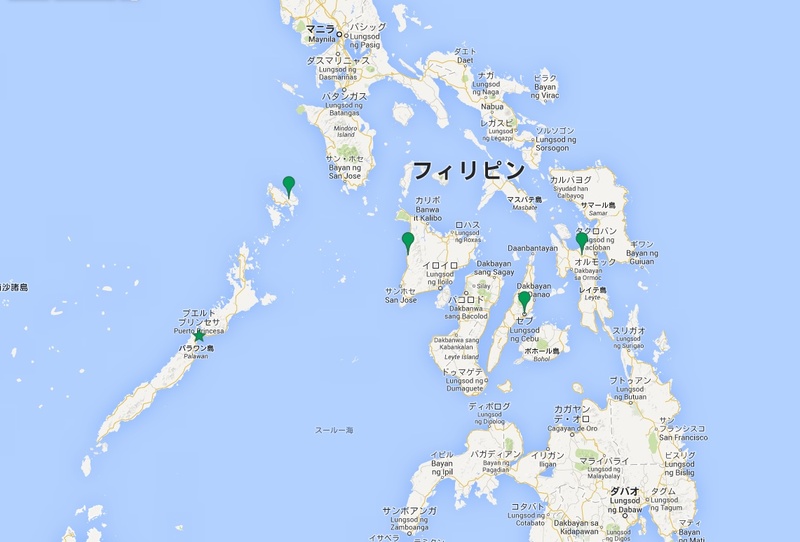 This update report is from one group of activists working in the Philippines. With your generous donation, we were able to send two teams of volunteers to Barangay Batug, Dulag, Leyte, for reconnaisance and community consultation/relationship-building. Apologies for the scattering of informaton, but as yet we do not have a dedicated volunteer to manage communications and public/donor relations. At year’s end, all donated funds have been disbursed with the remainder allocated as petty cash for base camp, to contribute to running costs for January and February, including tools, transport, and basic needs. Following videos will give you some idea of what it is like at the ground level. Yolanda Earth Village Respose, showing our first contact, working out the recovery strategy. The Earth is Our Home, showing the shelter built with natural material. This aid project evolves in a way that emphasises the organic, of necessity led by Filipino natives, to achieve real sustainability and resilience of the community. There are no quick fixes, and the project is long in scope. We would like to extend our gratitude to all the supporters who have given us your time and resources, especially Hepburn Relocalisation Network without their generous donations and constant support, the project would not exist as it does today. “The humanitarian situation in the areas devastated by Typhoon Haiyan (Yolanda) is catastrophic” declares the UN’s OCHA (Office for the Coordination of Humanitarian Affairs) website. According to its findings, almost 15 million people are affected including some five million children. That is one in six people in the country. More than 4 million men, women and children have been displaced, and despite the concerted efforts by the local and international community, many are still lacking food, safe drinking water, basic shelter and sanitation. The damage to land and food production systems is acute. In Eastern Visayas, for example, it is estimated 63,234 hectares of rice fields, or nearly 40% of the paddies in the region, are damaged by Yolanda. Even where fields are undamaged, farmers are finding it difficult to get hold of rice seed before the current planting season ends in January. Subsistence fishing people are also in urgent need of repairs to, or replacement of their boats and fishing gear – their tools for survival. Some of our friends and colleagues have been in the remote area identified in the UN report as of urgent need. They are there to provide immediate relief as well as mapping out strategies to assist the locals to build a more self-reliant and resilient future. While the usual crisis relief effort is focused more on restoring previous quality of life, permaculture aid sees the devastation as an opportunity to develop a better future applying permaculture ethics and design principles. 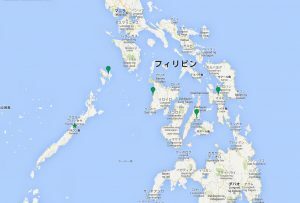 Having established their base camp at Maia ecovillage in Palawan, the teams are now in the field assessing the area, making contacts with locals, and attempting to establish regional bases in Coron, Cebu, Leyte/Samar and Panay. North Cebu suffered dramatically under Typhoon Yolanda. A team passed through Cebu en route to Leyte, and came upon an emergency housing encampment established by the Red Cross and the local government. A local permaculture personality has been subcontracted to install a solar power system. Upon inspection of the site, the need for a comprehensive redesign was realised. Discussions with site management and local government are currently underway to determine what PAY (Permaculture Aid Yolanda) can offer to the homeless and dispossessed people of Tacloban. In Coron, the Philippine-based permaculture activist Bert Peeters has been on the ground, identifying the problems and working out strategy while helping source and provide repair materials for vital infrastructure; his team is building a community centre and gardens in Marabal as a demonstration site with direct hands-on community participation. 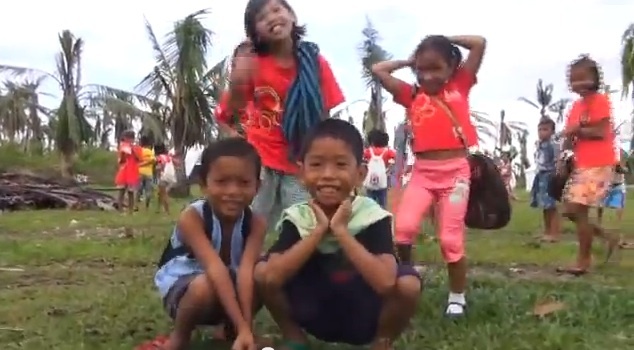 As one of the areas worst hit by Yolanda, many in Leyte/Samar are still left without food, water, clothing and shelter. 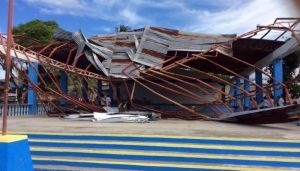 Schools, churches and other public buildings are destroyed. The international relief efforts fly in to the more urban centers like Tacloban while the remote villages are often left out, some being inaccessible because the roads are yet to be reopened. A permaculture aid team is now en route to Batug, south of Tacloban, where it was invited to be part of the local recovery effort. The team will first focus on rebuilding the local school with Andrea and her local NGO, One Block for Batug, who initiated the local school project, which was heavily damaged by Yolanda. Through the help of Hubert Posadas, Steve Cran’s recon team has set up a base camp in Barbaza on Panay Island’s west coast, which was also severely damaged by Yolanda. So far, the local government units, community leaders and the Mayor have agreed to adopt the permaculture restoration project. You can read Steve’s field report here. Hepburn’s own permaculture transition network, HRN so far has donated $1000 to Permaculture Aid Yolanda. 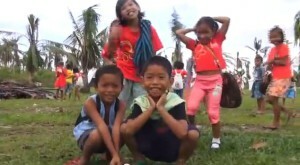 You too can help devastated communities in the Philippines. Funds are desperately needed. To donate send an email to HRN for bank details, your donation will go fully and directly to where it’s needed. You have no doubt heard about the destruction of a part of the Philippines by the super typhoon Yolanda, and like us here, are wondering what one can do to help. While it is hotly debated whether the fierce storm was one of the symptoms of climate change or not, some permaculture colleagues and activists in the Philippines and around the region are responding quickly to this disaster with permaculture initiatives. We are sure there are many more initiatives, but here is some info of ones we have heard about. They obviously need help from us all, and there are many ways one can help. We are okay in Manila just signal #1 here. It’s an absolute disaster and together with other permies we organized our own team. the Permaculture Aid Yolanda team Sabina Arokiam, Pi Villaraza, Nyoman Wen and Lydia Lim talking to David Holmgren on Skype. Nyoman Steffen Wen told us that a group of permaculture relief aid workers has started converging on MAIA Earth VIllage in Palawan, Philippines, which is going to be its base. Steve Cran is organising a reconnaissance team, to canvas affected areas and report back on conditions out there, and begin to identify possible project areas. By Christmas, the team will be ready to roll out trained teams of permaculture aid workers in areas that have been identified as in need, and willing to receive the type of aid it can offer. They are looking for help in the following specific areas. 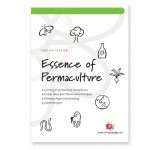 You can follow the permaculture aid team here. If you think you can help, please get in touch with them at [email protected]. I have been assisting tribal communities in North Palawan for which relief and rehab means rebuilding houses, boats and looking at sound survival solutions like rainwater collectors, compost toilets and the like. Devastation is worse in the east and we are still trying to get in at a substantial level so we can really make a permaculture move. For the time being it is still assessing and networking while others are in the relief field. The Permaculture Aid Yoland team are sending out an SOS. The funds we have are running out quickly as we encounter more and more needs in these remote villages. We require our recon guide for another week (US$700), and a vehicle as well (US$600/week). We are sleeping in tents in whatever space is available, so have avoided accommodation costs wherever possible, but could use funds for food for the recon team (approx $50/day for 7 people). Contact Hepburn Relocalisation Network for bank details for donation. 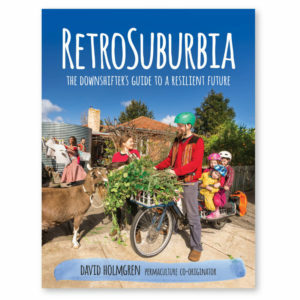 Melliodora Publishing, the publication wing of Holmgren Design, produced the book Permaculture Pioneers in 2011. 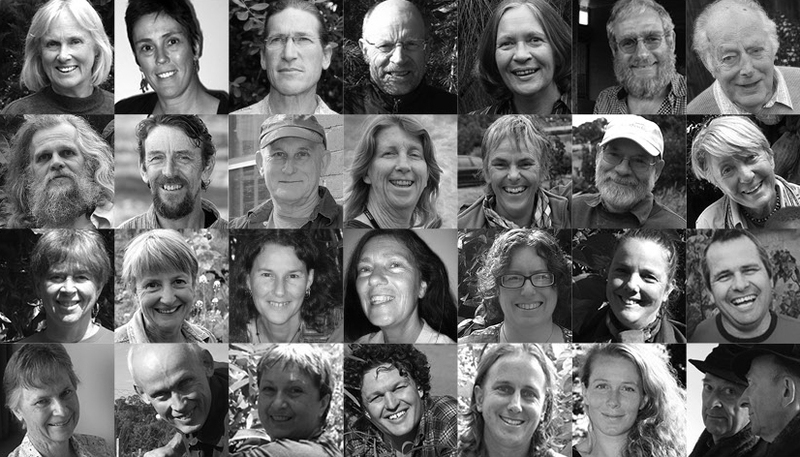 The editors and authors of the book stipulated that the royalties due to them were to go to Permaculture Australia’s Permafund; we are happy to announce that nearly $3,000 has been sent to Permafund (the Permaculture International Public Fund) to promote and support Permaculture projects around the world especially those that assist with resilience in the developing world and in places of extreme need. 10% of all sales of Permaculture Pioneers will continue to go to this worth while fund, so to keep all these smiling authors happy, purchase a copy and enjoy their stories ‘from the new frontier’.